This Specialist Course examines the biomechanical complexities of stabilization exercises as a prerequisite to the general strengthening of the back and the surrounding musculature for clients, athletes and other fitness enthusiasts. It provides a solid stability training program for the back to help prevent injury and optimize lower back function and performance. A step-by-step course to acquire dynamic design techniques and a better understanding of back mechanics and educate individuals in lifestyle and prevention strategies to help reduce the risk of low back injury and pain. This Speciality Certificate Credential provides up to date knowledge and sound guidance and strategies for all your clients so you can accurately communicate back conditions and prevention and apply to strengthening the back and the core. Amplify knowledge of the anatomy of the back. Identify the common risk factors associated with back pain. Understand the significance of scientifically based decision making in the measurement and management of back disorders. 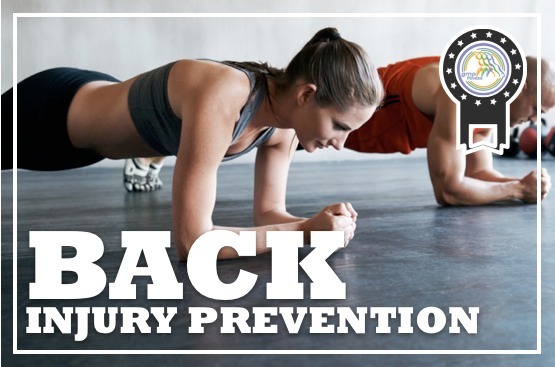 Teach clients in prevention strategies to reduce the risk of back injury. Expand knowledge on muscle injuries and myofascial back pain. Recognize the types of treatment for back pain. Recognize the signs, symptoms and contraindications of low back maladies. Acquire a better understanding of back mechanics and risks for injury. Understand the normal and injury mechanics of the back. Explain the risk factors associated with lumbar/back disorders. Discover how to enhance your client’s workout with conditioning exercises to help prevent back injuries. Discover exercises that prepare your clients more challenging exercises. Discover dynamic core exercises for the back. Understand how to properly modify and progress clients with back injury prevention exercises. Educate individuals in lifestyle and prevention strategies to help reduce the risk of low back injury and pain. Develop an exercise program that contains safe back exercises and be able to correctly adjust and advance the exercises. Demonstrate how to correctly execute various back prevention exercises without equipment and with a stability ball.